Taiwan’s BenQ has announced an entirely new V-series of displays, some of which the company claims are the world’s thinnest in their size range: the 21.5-inch V2200 measures just 15mm thick, while the 18.5-inch V920 shaves off another millimeter for a 14mm depth—because that extra millimeter of space will completely change the feel of your workspace. The new V-series of displays includes nin models ranging from 18.5 inches all the way up to 24 inches: models with an H in their name (like the V2220H sport an HDMI port, and models with a P (like the V2200HP) are glare panel. 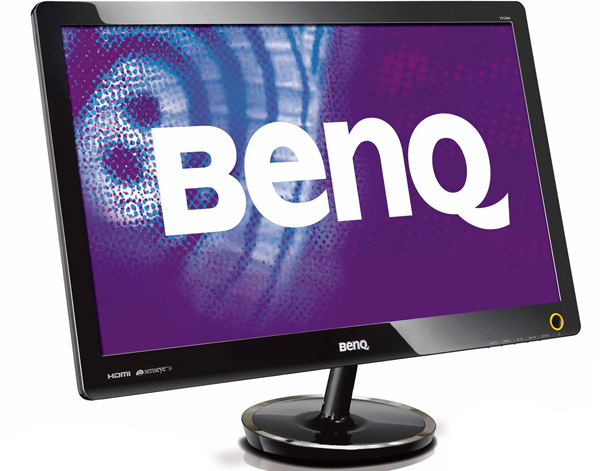 All the displays sport BenQ’s SensEye Human Vision Technology for enhanced output, DVI and S-sub inputs, 250 nits of brightness, LED backlighting and a 10 million-to-one dynamic contrast ratio—which we know doesn’t mean much, but it’s the only contrast spec BenQ has published. The monitors also sport sis preset modes (SRGB, Standard, Movie, Game, Photo, and “Eco” for energy savings) and independent color management. The displays should be available in Taiwan in February and March, with the 23-inch versions landing in June 2010; the displays should be available worldwide by mid-year. BenQ did not offer any pricing information.